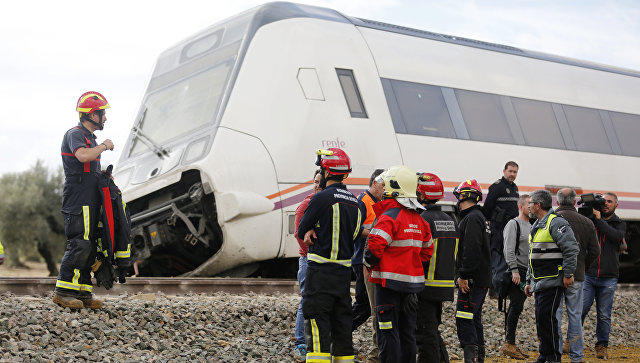 About 50 people received mild injuries as a result of the collision of two trains in the northern Como province of Italy, the country's fire department said on Thursday. The cause of the accident was one train's departure from the Inverigo train station, despite a red signal telling the operator not to go. The collision happened at a slow speed. The passengers of both trains received mild injuries and were treated by fire department and medical workers who arrived at the scene. Five to seven people received slightly more serious injuries, but no one's life was in danger, according to local authorities.